Whether you’re a small office or a national medical organization, EZ-NetTools will help you make a great website that fits your needs and your budget. We’ll help you put your best face forward with a custom website design. Our design team will listen to your needs, and offer helpful suggestions. We’ll help you avoid common pitfalls and mistakes. Your website will work great on any device. We’ll take care of all the technical parts like coding, SSL encryption, and design. Most of our clients enjoy making simple day-to-day changes. But like coming back to us for the big stuff. We build our websites so you can make changes without messing with code. But we also understand the complexities of code, so can come back to us with future needs. We've been a customer for 15+ years. EZ-NetTools is always ready to help us work through any special requirements needed on our websites. Their response time is great! My website consultant has gone beyond my expectation and designed a great site. He was easy to work with and was always available. I would recommend them to anyone...Thanks Steven Monson for doing a great job. These guys are great and quick too! They create compelling & effective websites... Keep up the good work! 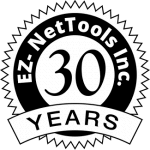 We decided to hire EZ Net Tools after our initial consultation because they were down to earth and professional. Also, they had done their research about our company before the consultation and built an individualized strategy for us. ...I have been incredibly impressed with work done, follow up, communication, and availability of the staff. Thanks, EZ-NetTools! Know a doctor or dentist that needs a new website?